There are some questions that are simply unanswerable; for example, how is it that Donald Trump’s approval rating is not zero? What defect in the U.S. educational system has resulted in some actual adults, with actual grade school, high school, and perhaps even college degrees, believing that an egomaniacal, perennially publicity desperate billionaire has anyone’s interests in mind other than his own? Why does it take a New York Congressmember to lecture the NRC Commissioners on the impact of climate change on nuclear reactors? Shouldn’t that be the other way around? If the NRC were a real regulatory body, actually concerned with public health, wouldn’t its members be pleading with Congress to be prepared for the day–coming sooner than you might think–that reactors begin closing permanently because they can’t operate in a heating climate? Wouldn’t the NRC see that the trend of reactor shutdowns because of high water temperatures in recent years, leading to temporary shutdowns, is going to accelerate as the planet warms? And shouldn’t a government regulatory body like the NRC be warning elected officials that the reactors it regulates–and the electricity they provide–need to be replaced by generating sources, like wind and solar power, that not only can operate in such a climate, but will also help prevent it from becoming worse? Why does Greenpeace have a better record than international bodies like the International Energy Agency–whose job it precisely is to project these things–at predicting the deployment of clean renewable energy? And, given that better record, wouldn’t you think those agencies, and the rest of the world, would give studies like its 2015 Energy (R)Evolution report, which states that yes indeed, the globe can be 100% sustainably and cleanly powered by 2050, an awful lot of credence? How is it that in an era of incredibly rapid change for electric utilities, changes that smart utilities are embracing and slow utilities are at least acknowledging, that Ohio’s FirstEnergy not only wants massive and unjustified consumer bailouts for its uneconomic nuclear and coal plants but a return to regulation just seven years after it successfully lobbied for deregulation? Given that there must be a best and worst of everything, is it obvious that FirstEnergy is in fact the worst utility in the country? Or could there be, God forbid, one that’s even worse–at least for its customers, not to mention the rest of us who live on this planet? And is there any utility in more desperate need of a thorough housecleaning, starting at the CEO level? Speaking of housecleanings and bailouts, shouldn’t government officials who use their constituents’ money to ensure that the Chinese government doesn’t have to take the financial risk of building the world’s most expensive nuclear reactor be removed as government officials? Or is sanity too much to hope for from the current government of the United Kingdom? 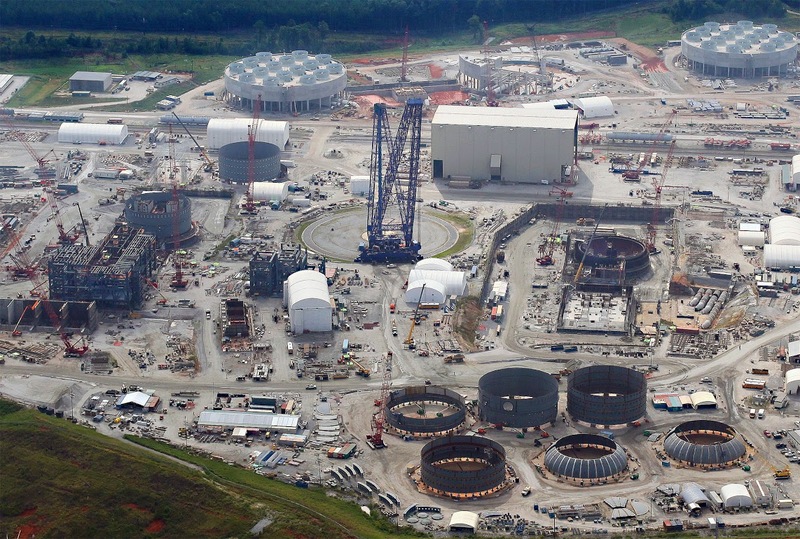 If you were CEO of a large electric utility, and you owned all three of the nation’s three worst reactors as defined by the NRC, and one of those reactors was 43 years old, a twin of Fukushima, had experienced several unexpected shutdowns over the past couple of years, was located in a place that would make effective evacuation impossible, and faced millions and millions of dollars in safety and performance improvements, wouldn’t you just close the albatross already? 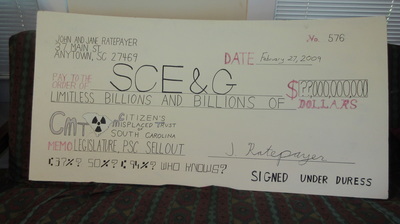 Why does SCAVA subsidiary South Carolina Electric and Gas think the South Carolina Public Service Commission will let it get away with its 8th rate increase for construction of its over-budget and behind-schedule Summer reactors–initially approved by the PSC in 2009, only six years ago? Oh, never mind. Stupid question. Of course the PSC will approve another rate hike. After all, who do you think this PSC serves, the public? We the people of the USA the Nation that can’t vote for there own President (electoral college decides) and whose Congress is bought and paid for by the Corporations the real people (Supreme Court decision) what else can you expect?